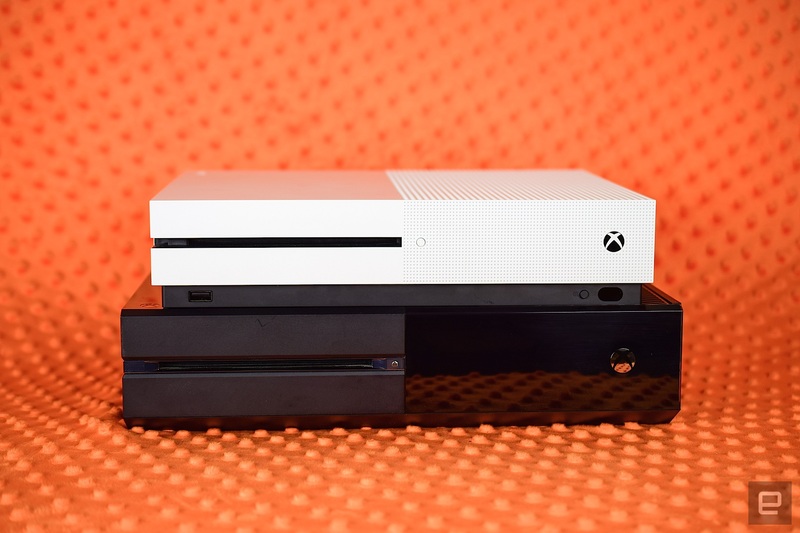 Unless you own a 4K TV, it's not worth upgrading from the Xbox One. 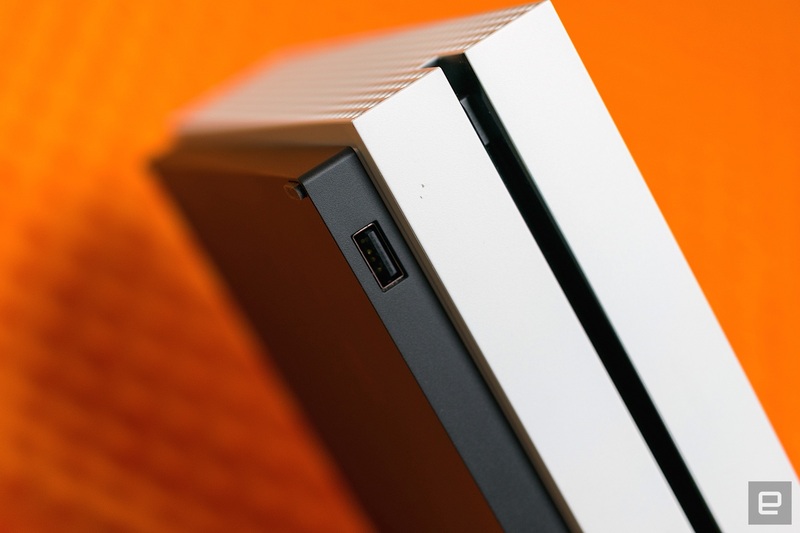 Microsoft is making a lot of assumptions with the Xbox One S. It's a 40 percent smaller and 100 percent whiter version of the Xbox One that launched nearly three years ago, albeit with a few key differences. First is the built-in 4K Ultra HD Blu-ray player and compatibility with high-dynamic-range video for increased contrast and a wider color gamut. Then there's support for Ultra HD streaming from apps like Netflix and Amazon Prime Video. As for the rest of the system? For better and worse, it's basically the same. 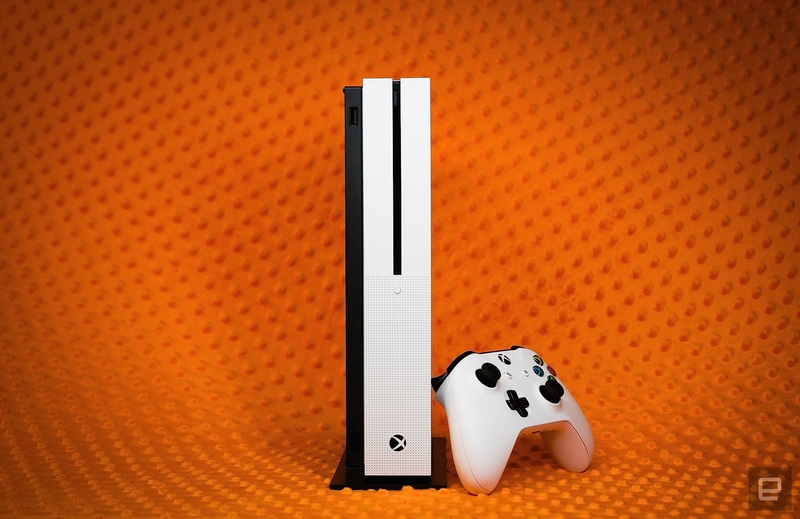 Be the first to review the Xbox One S? The benefits of upgrading from 2005's brand-new Xbox 360 to 2010's Xbox 360 S were pretty clear-cut. That isn't the case this time around, though: Microsoft didn't have to fix a loud console with an incredibly high failure rate. No, thanks to a slew of software updates, the Xbox One's most serious issues have already been mostly addressed. And that makes the value proposition of the Xbox One S tricky. Let's say you have a 4K TV or plan on buying one in the relatively near future. Should you shell out $400 for the One S? What if you don't plan on upgrading your TV anytime soon and don't see the appeal of collecting even more "perfect-er" Blu-rays? After spending a weekend testing the system in each of the above situations, the answer is clear. 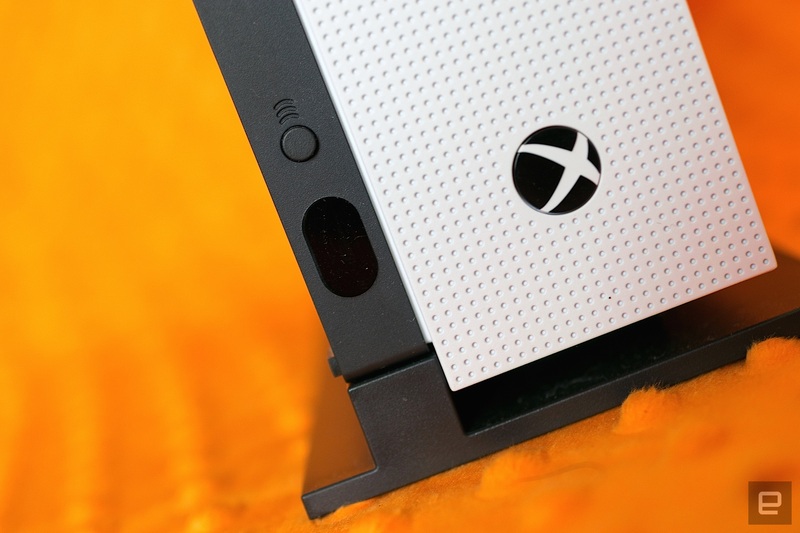 Though they share a similar name, you're not likely to confuse the Xbox One with the One S. The S measures 9.125 x 11.7 x 2.5 inches, versus the original's 13.1 x 10.8 x 3.1 inches, and it "floats" on a half-inch-thick slab of black plastic that's flush with the back panel but inset a quarter of an inch everywhere else. 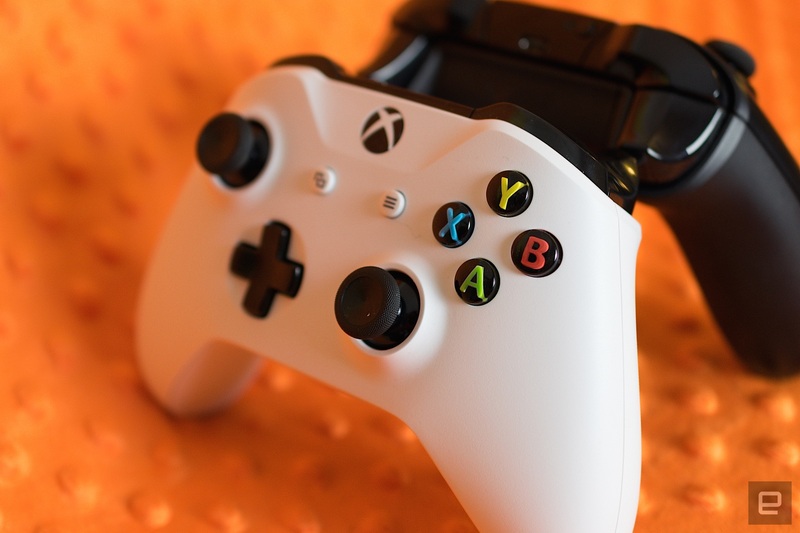 Microsoft boasts that the console is almost half the size of its predecessor. That sounds impressive enough on paper, but the difference is even more striking in person when you place the two consoles side by side. Every time I glance at them sitting next to each other, I'm in disbelief that Microsoft managed to cram the same hardware and a power supply into a dramatically smaller package. Thanks to all of this, putting the console in a backpack or messenger bag to use away from home is actually feasible -- especially given the drop in weight, from 7.8 to 6.4 pounds. The 2TB launch model sports a "robot white" chassis with black accents, whereas the original was a mix of glossy and matte black with chrome accents. After the Xbox 360's overheating epidemic, Microsoft made a concerted effort to cover the Xbox One with vents. They're here on the One S too, but they look different. Diagonal slats have given way to circular perforations throughout, with a 5-inch fan opening on the broadest panel. Over seven consecutive hours of gaming Ultra HD Blu-rays and streaming in 4K, I didn't hear it turn on -- and if it did, the fan was extremely quiet. 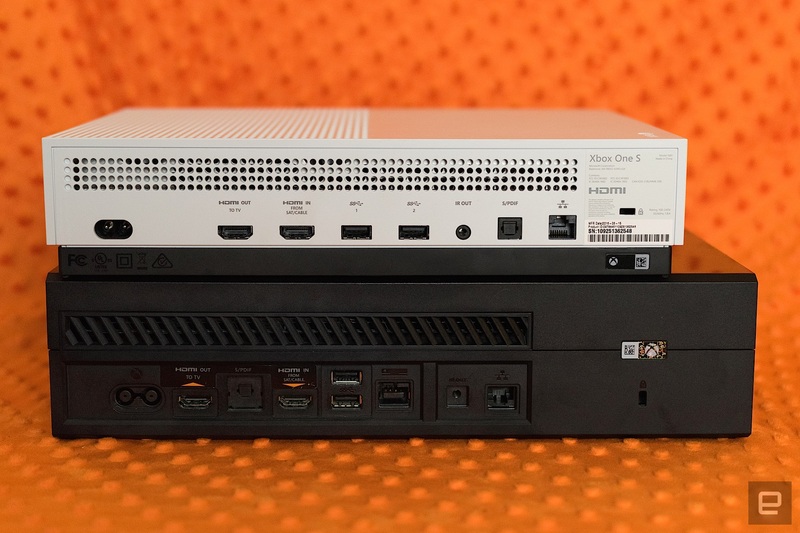 Up front, the USB 3.0 port that was awkwardly stuck on the left side of the Xbox One has been moved to the lower left corner of the front face, below the slot-loading Ultra HD Blu-ray drive. Now there's a small, circular eject button sitting in the middle of the front side, while a push-button Xbox jewel near the right edge powers the system on and off. Immediately below that is the most important addition to the console: an IR blaster. Navigating the system dashboard and controlling streaming apps with a universal remote no longer require Microsoft's do-all Kinect sensor, because the One S can take commands from a remote itself. That's your not-so-subtle hint that the Kinect is basically dead. That take-it-or-leave-it approach to Kinect is obvious from the backside too. Whereas the Xbox 360 S added a dedicated port for the camera/mic gizmo, the One S strips it away entirely. If you still want to use the device for Cortana voice commands, for example, you can order a USB adapter from the Xbox website, free of charge. What finally doesn't require an additional dongle, though, is the power supply. Since 2005, every Xbox has needed a bulky external power brick. That's thankfully no longer the case: The One S uses a power cable similar to what's included with many other modern devices. The rest of the back panel remains unchanged. Microsoft may have given up on Kinect, but it hasn't abandoned the HDMI input for connecting your cable box to the system. An HDMI-out socket, a pair of USB 3.0 connections, IR output, optical audio and an Ethernet jack round out the rest of the ports. Oh! And with the One S, there's an included stand you can use to position the console vertically. It snaps into place easily, but I'm not sure how many people will actually situate their console that way. I didn't like the gamepad that came with the 2013 Xbox One. It felt unfinished, with sharp edges and stiff shoulder buttons. Thankfully, the controller included with the One S represents the revisions Microsoft has made since then. The device now has rounded seams with satisfyingly clicky shoulder buttons and a 3.5mm headphone jack directly below the D-pad. This joypad will work as a Bluetooth controller for your gaming PC, and Microsoft says it has better range too. The subtle texture on the underbelly adds a fair amount of grip and reminds me a lot of the PlayStation 4 gamepad's bottom side. All of those refinements make this controller a joy to use for extended sessions. Thanks to these changes, the $150 Xbox One Elite controller is a lot less necessary now. The custom key bindings and swappable thumbsticks are still great, but spending that much feels even more like overkill now than it did last year. Without the Windows Anniversary update, there's nothing different about the Xbox One S. Over the weekend, Microsoft started rolling out the patch that unlocks 4K UHD streaming, Ultra HD Blu-ray playback and support for HDR video. That's right, none of the headlining features of the console are usable out of the box without a large software update. Again. In 2013, this was kind of understandable: Following a controversial E3 keynote five months before launch, Microsoft had to drastically retool the system software. This time should have been different, though. The company has presumably been working on the Xbox One S for a while. And yet, the device's headline features aren't available in the box. Similar to what happened with the original Xbox One launch, if you want to pull the One S out of the box and start watching The Revenant or streaming Man in the High Castle, you'll have to sit through a lengthy update. On my modest 90Mbps connection, it took me about 45 minutes from unboxing to actually using the console. I cannot stress how ridiculous it is that this is still a thing. More than that, the Blu-ray player app doesn't come pre-installed either. Once that's out of the way, though, it's smooth sailing. The recent Anniversary Update makes the console feel complete. You can listen to music from any source while you're playing games or navigating the dashboard now, and accessing your games and apps is a lot easier with a handy shortcut button in the home screen's upper-right corner. This officially marks the debut of Cortana on the Xbox platform as well. For all the external changes, it's what's inside the Xbox One S that matters most. Support for 4K Ultra HD video is the console's headline feature. Good thing, then, that it handles 2160p playback without a hitch. Not all movies and TV shows are created equal, though. Sure, Netflix has a raft of UHD programming on offer, but not everything looks nearly as good as House of Cards or Stranger Things in 4K. That's partly because not everything uses high-dynamic-range video for improved contrast and color saturation. Same goes for movies, like last year's The Revenant. Each scene carries a tremendous amount of depth and detail; the picture quality and award-winning cinematography make the movie feel like a BBC nature documentary on steroids. Truthfully, though, the film is going to look amazing on any UHD Blu-ray player regardless of the manufacturer. It's a testament of the talent involved, not who made the playback device. The Xbox One will also play HDR-enabled games. However, none of them will be available until this fall when the Microsoft-developed Gears of War 4 and Forza Horizon 3 come out. Working with HDR is going to be expensive for developers to implement, though, so don't expect many games aside from Microsoft's own to actually use it. Is there a difference playing normal games like Forza Horizon 2 or last year's Rise of the Tomb Raider in 4K versus 1080p? Not that I could tell. The Xbox One S upscales those games' 1080p resolution to 2160p, matching the UHD display it's connected to, but otherwise I couldn't spot any differences. Ultra-HD Blu-ray players from Samsung and Philips cost around $300 and have built-in streaming apps, but you can't play Madden or Halo on those. That's the value proposition here: You can rely on your TV or Ultra-HD Blu-ray player to access the programming that'll make the most of all of those pixels on your new display, but you can't play Xbox games on those. The PlayStation 4 still only plays 1080p Blu-rays, and despite Sony's claims that the console can output 4K video, we haven't seen it happen yet. Sony has teased a higher-spec PS4 too (code-named "Neo"), but the company hasn't said anything about UHD Blu-ray playback. The Xbox One S' biggest competition comes from Microsoft itself. The company may have kicked off its E3 keynote by unveiling the Xbox One S, but it wrapped the event with news of Project Scorpio. It's a high-spec Xbox One that the company claims will play games at a native 4K resolution and also in virtual reality. It's slated to arrive late next year. So far Microsoft hasn't said anything about price, but given its specs, it's safe to say it won't be cheap. In terms of money, the One S is in direct competition with the original Xbox One. The $300 One S' with 500GB of storage doesn't come out until later this month. Meanwhile, you can buy the original Xbox One with 500GB for just $250 -- half of what it cost three years ago. This fire sale is indicative of Microsoft's future plans for the One S: It'll become the default, with Project Scorpio aimed at more-serious gamers (or those with deeper pockets). Unless you own a fancy new display or have one earmarked for the future, there's no reason to upgrade from your existing Xbox One. The only benefit you'll see is the increased internal storage space, and even then there are existing Xbox One models with 2TB of room for games and apps. That said, there's a lot to like about the system, especially if your TV can support all the super high-resolution bells and whistles on offer. There isn't one distinct reason to buy one today, but if you don't already own an Ultra HD Blu-ray player, you won't be disappointed if you decide to pick one up. 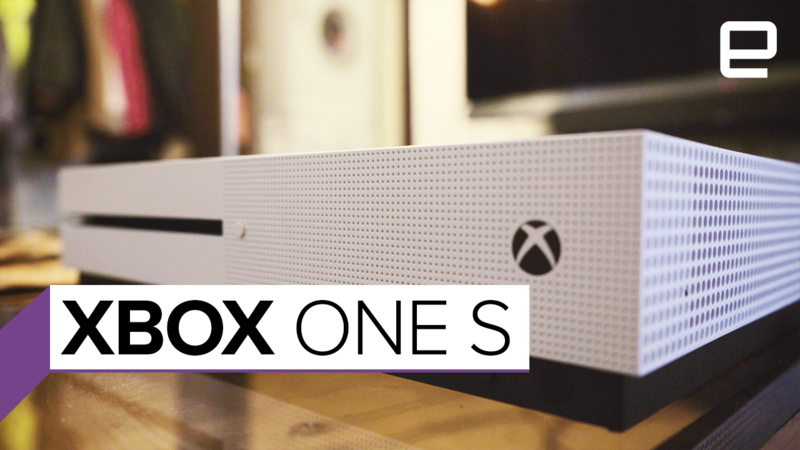 The S is the Xbox One you know, but tailored for the future.